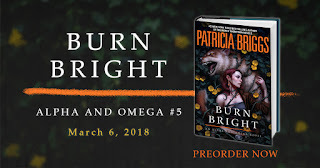 I adore anything Patricia Briggs writes, lets be honest, her series stand out, from the wonderful characters to the plot driven storylines, they are ones that get noticed and hook readers from the very first page. 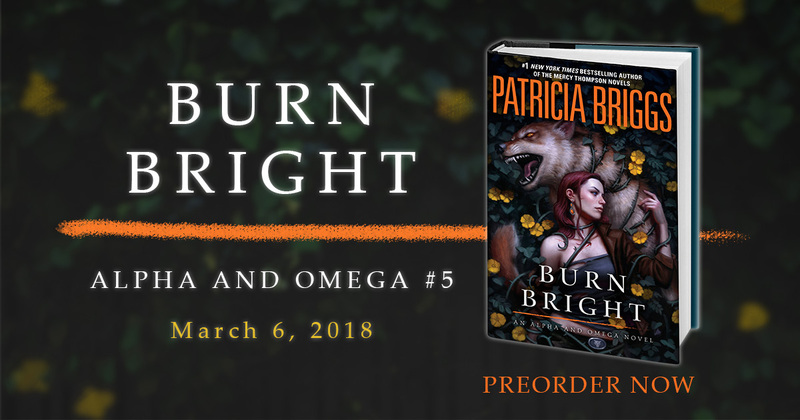 In celebration of her latest book, Burn Bright coming out I have a fabulous giveaway for you courtesy of Ace Books. If you haven't tried this series yet, now if your chance. It is fabulous and you won't regret it! Gahhh!! I need to read this series one of these days! I love these covers! Thanks for the giveaway, Ali! It really is so good and I really love how it coincides with her Mercy series. Thanks for sharing. You know...I'm not sure I've read anything by this author! Oh gosh enter the giveaway! She is such a good author! Love this series and author. Me too, I haven't read a series by her that I haven't loved! Love this series! I'm so excited for the new book. I was very lucky to get an ARC from NG. I hope to read it soon. I did too and couldn't help myself, I had to read it right away and I loved it! I have a feeling you are too! I haven't read this author yet but this sounds so good. It's just the kind of book that I love to read. I think you will really like this series Mary! I am super excited for the next book! It is so good, you are going to love it! I love this series. 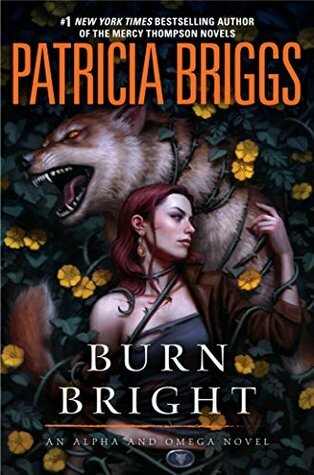 I read Burn Bright for review and now I am listening to it for review. So painful...hehe NOT. That is kind of funny that you are reviewing both of them! Oh I've been wanting to try her so this is the perfect chance. Thanks Kindlemom! Too bad it's not international. Anyway thanks for sharing about Briggs. I'm always hearing good things about her writing. Definitely read more! I love the Mercy series but it wasn't until book two or so that I really loved it. This is a great one too and the cool thing is that is runs along side her Mercy series so it's a lot of fun! You should, they do get better. I read the first two books and I'm hooked! I love it. I still need to review them, but I love them so much. I wanted to get them in hardback, but super expensive and I can't get them in another store than online. So, I'm getting them kindle. :) I can't wait to read the rest of the series. Sometimes Kindle is definitely the better way to go cost wise. So glad you love this series too! It really is underrated I think. Im not a fan of wolve books but I do wanna try this author. 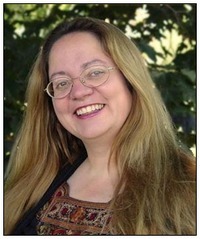 I ised to be really into paranormal and urban cantasy and her books were always on my list. She's a great writer but if wolves aren't your thing then yeah, probably not for you. 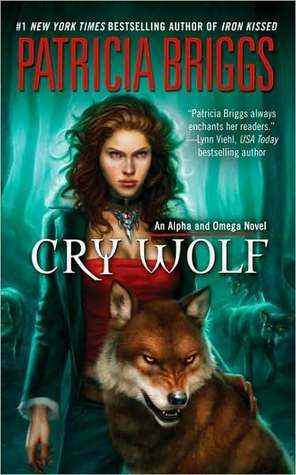 Although her Mercy series has other things than wolves but it is dominantly about werewolves. I love her work and she is still going strong for me too. I'm behind on all her series but I love them and I love Dan Dos Santos covers! Is that you designed this one? I really like it too if so! Of course and yes, she is definitely a wonderful writer, I highly recommend any of her series. I have not read any of her books. Unfortunately, I am unable to enter the giveaway. Sorry about that. I do hope you give her stuff a try though! Thanks for this! I've been meaning to read something by Patricia Briggs. Her books look so wonderful! They are all so good! Hope you like them as well! I love this series so much. Charles and Anna are my favorite. I've already finished Burn Bright. It was as good as I hoped. I agree, it was really good! I really do love it as well, it's just so much fun! I need to try this series someday soon! I've heard so many great comments about her writing and I know how much you adore her books. She is so good, glad you have tried her work before! EEEP. Crossing my fingers because I've been meaning to read this book for AGEEEEES. That would be awesome if you won then! I need to add this to my list of authors to try--and actually do it. I do that too often. Meaning to, but not doing it. Would be nice to win! Ah that was a good one. I need to get back to this series.